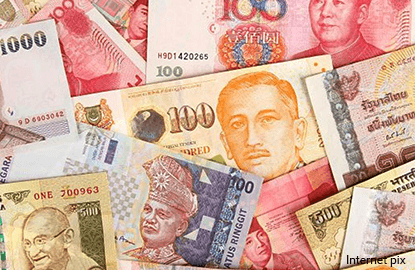 SINGAPORE (Jan 20): Most Asian currencies edged higher on Friday after comments from Federal Reserve Chair Janet Yellen sounded less hawkish than some expected, and as China's fourth-quarter economic growth slightly exceeded expectations. The South Korean won rose 0.7% and most other emerging Asian currencies also clawed higher as the US dollar lost momentum after the latest comments from Yellen. With monetary policy still modestly accommodative, the US central bank should continue to raise interest rates slowly or risk harm to the recovery the Fed has sought to nurture, Yellen said on Thursday. Yellen didn't come across as sounding excessively hawkish, said Vishnu Varathan, senior economist for Mizuho Bank. Market participants are likely to stick to a cautious trading stance for now, ahead of Donald Trump's inauguration as US president later on Friday, he added. "It's reasonable to say that no one is going either long or short US dollar aggressively into the inauguration weekend," Varathan said. Asian currencies held on to their gains after data showed that China's economy grew 6.8% in the fourth quarter of 2016 from the same period a year earlier, slightly higher than market expectations for 6.7% growth. The Chinese yuan edged up 0.1%, even as short-term funding costs in China fell sharply after the central bank pumped a record amount of liquidity into the markets, in an apparent attempt to avert a cash crunch ahead of the week-long Lunar New Year holiday.